The Fourth of July gets people excited to come out in their best red, white and blue attire and celebrate America's freedom. Fort Myers has several events that allow you to get into the patriotic spirit. The epicenter of activity is on Fort Myers Beach, but there are great events to take advantage of throughout Southwest Florida. Here is our list of July 4th events and fireworks in Fort Myers. Fort Myers Beach has a full day of fun activities planned. The festivities begin with a parade that starts at the Bay Oaks Recreation Center at 10 a.m. and makes its way down Estero Boulevard. 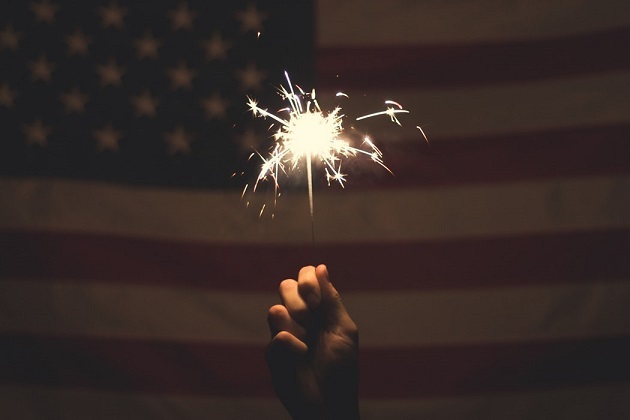 Following the parade, there will be patriotic crafts, a watermelon eating contest and a dunk tank at Times Square from 12-2 p.m. Fireworks on the beach start at approximately 8:45 p.m. Downtown Fort Myers is home to the River District Alliance's Freedom Fest. The free event runs from 4-10 p.m. and features live music, kids activities and food trucks. The fireworks show starts in front of the waterfront on Edwards Drive at 9:30 p.m. Veterans can watch the fireworks in a special VIP viewing area. The Single-A Fort Myers Miracle are home at Hammond Stadium taking on the Dunedin Blue Jays on July 4. They are paying tribute to America with special USA themed jerseys that will also be available for auction. There will also be drink and food specials available. At the conclusion of the game, there will be a fireworks show. One unique way to take in Sanibel's fireworks display is by taking an Aventures in Paradise Fourth of July Cruise. The trip on the San Carlos Bay provides great looks at the sunset even before the fireworks get going. Complimentary soft drinks, bottled water, and snacks are included. Tickets are $59, the cruise departs at 7:30 p.m. and heads back to shore following the conclusion of the show around 9:30 p.m. Enjoy the festive environment that these July 4th events in Fort Myers bring to the city. Follow 239area for the latest on July 4th and other Fort Myers events.